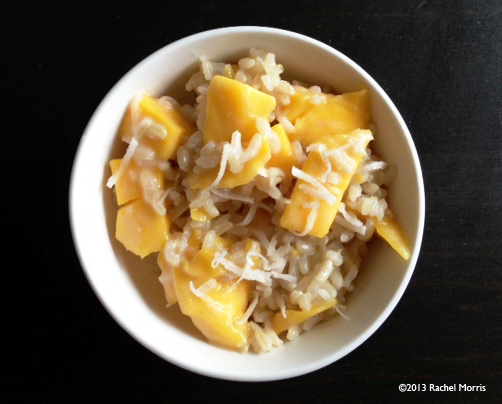 Yummy, creamy coconuty rice studded with chunks of sweet mango makes an easy tropical treat for breakfast or even dessert. I prefer champagne mangoes but you can use regular ones as well and frozen mango is also an option. Opt for unsweetened shredded coconut but if you can’t find it, just omit or lessen the agave. 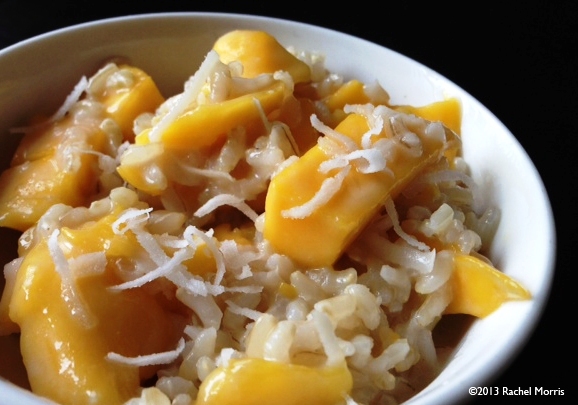 Another possible add-on for this, garnish chopped macadamia nuts and enjoy this tropical island vacation in a bowl! Place rice and coconut milk in a small pot over medium heat. Bring to a simmer. Once simmering, begin stirring and it will thicken quickly. 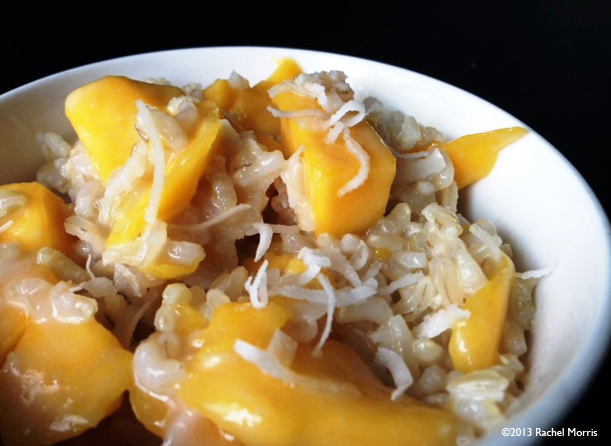 Once desired consistency is reached, remove from heat and stir in agave, coconut, and mango. Spoon into a bowl and serve. oooo.. kinda like mango sticky rice, I guess its the same thing..haha.. lovely! I can never get enough of this!